Shakespeare, Our Contemporary is a provocative, original study of the major plays of Shakespeare. More than that, it is one of the few critical works to have strongly influenced theatrical productions. Peter Brook and Charles Marowitz are among the many directors who have acknowledged their debt to Jan Kott, finding in his analogies between Shakespearean situations and those in modern life and drama the seeds of vital new stage conceptions. 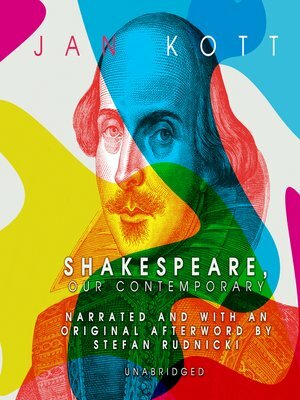 Shakespeare, Our Contemporary has been translated into nineteen languages since it appeared in 1961, and readers all over the world have similarly found their responses to Shakespeare broadened and enriched. Jan Kott (1914-2001) was a Polish writer, activist, theater critic, professor, and expert on Shakespeare whose work greatly influenced many contemporary directors.